Below is a selection of wedding bands in gold, platinum and silver. 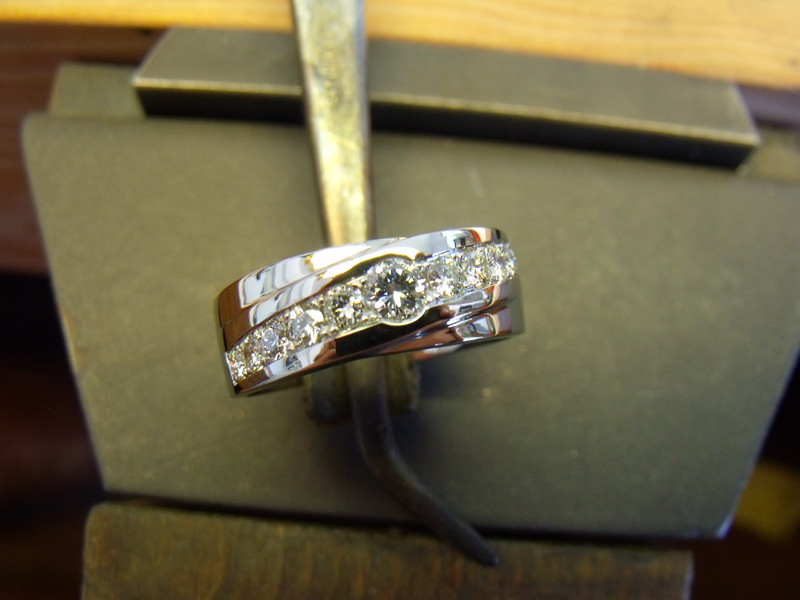 You can also have a wedding band made to perfectly match your existing engagement ring. Drop by the store and you will find a variety of stock rings to try on.